We live in an era of practicality and functionality. In the bathroom, that means that showers are taking over the world. You can get a quick shower and that’s it. You feel like new. Many believe that showers have made clawfoot tubs obsolete. But that can’t be further from the truth. Yes, showers are taking over the world, but when you want to have a luxurious bathroom, you can’t go with a shower. You need a good tub, and that is where clawfoot tubs come into play. 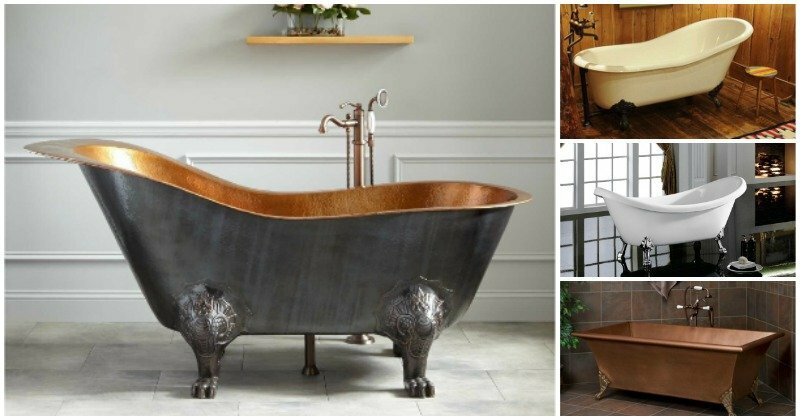 And thanks to the current retro and rustic trends, clawfoot tubs are clawing their way back. Here are several ideas you can use for your bathroom. Let’s start with a timeless piece that looks old and washed up. But that is where the beauty, magic, and charm of clawfoot tubs lie. This one is a perfect example of how you can still incorporate them in the bathroom. We mentioned at the beginning that luxurious bathrooms need a clawfoot tub. Just look at this bathroom. Can you imagine a shower there? Of course not. 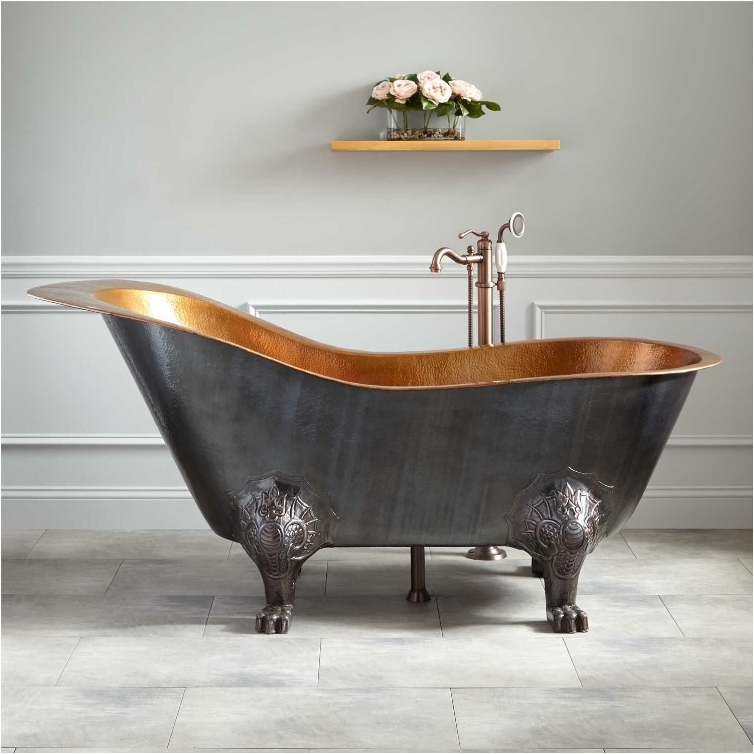 Clawfoot tubs bring back memories of the baroque time of Louis XIV, and that’s a great thing. If you want to go retro, there’s no better way to do that than with some wood. 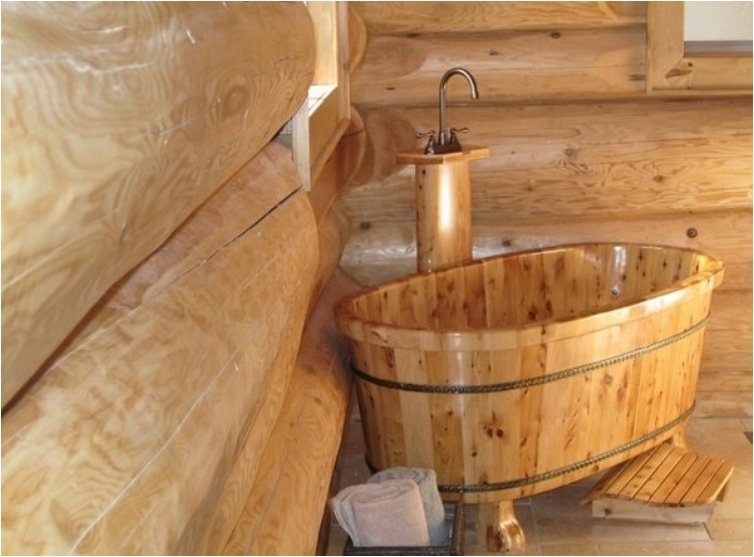 Think of the medieval times when people took baths in a wooden tub. You can always go back to that time, and your bathroom will feel and look warm and welcoming. Clawfoot tubs have survived the test of time by evolving. One way they have evolved is in shape; in the past few years, we’ve seen corner tubs replace corner showers. The goal here is to utilize the space of your bathroom in the best possible way. 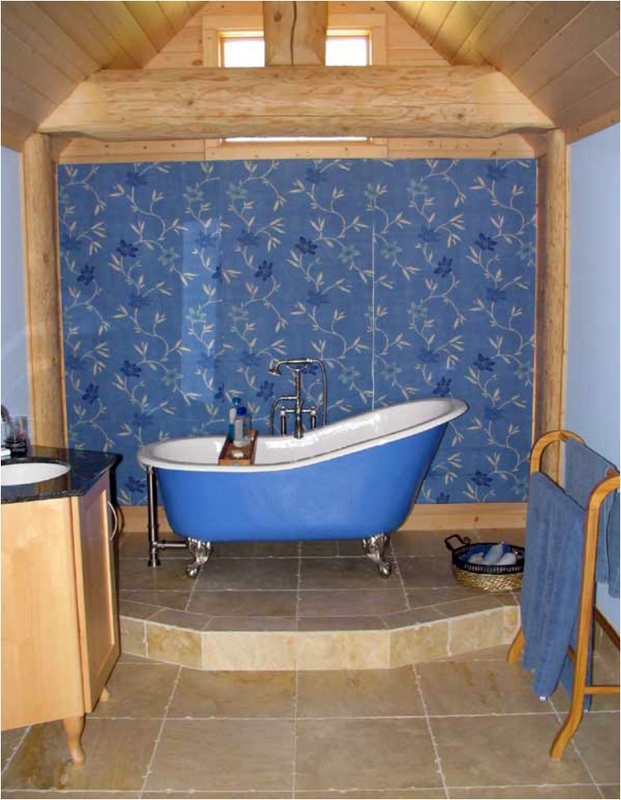 And you know tubs can look modern, just as they can look vintage and retro. 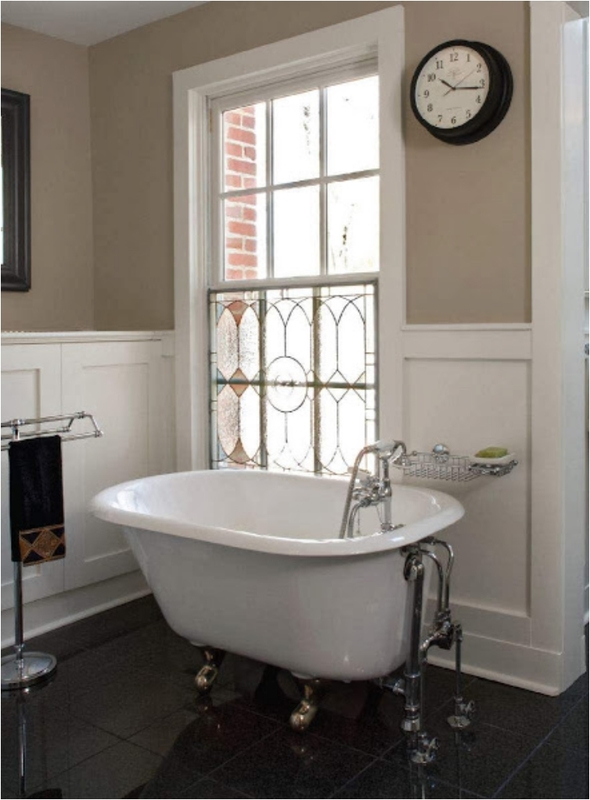 Just as you can integrate a tub in a modern setting, you can incorporate it in a contemporary setting as well. Truth be told, modern and contemporary styles are very close. Contemporary is a bit more sleek, and you can see such touches in the faucet and the block. One of the best aspects of clawfoot tubs is that they are versatile. Yes, versatile. You read that right. Tell me, can you paint a shower in a different color just so it fits your bathroom better? Of course you can’t. Well, you can do that with a clawfoot tub. 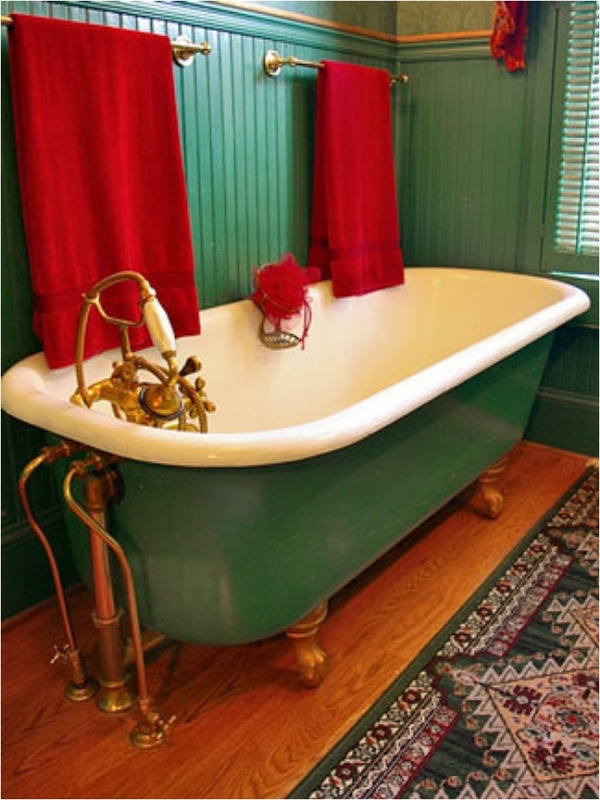 In this case, the red color is designed to pop and be the centerpiece of the bathroom. 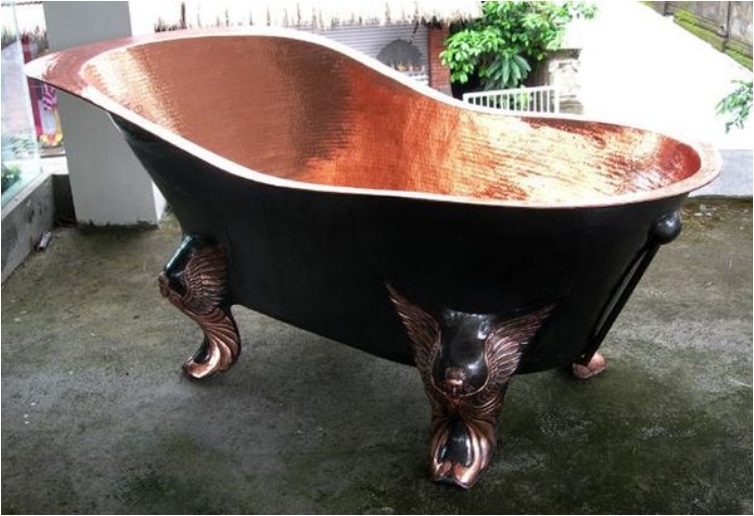 This is probably one of the best examples of a baroque-style bathroom tub. Just look how luxurious it looks. And then the finishing touches on the exterior. Just plain awesome. The workmanship is just hands down great. 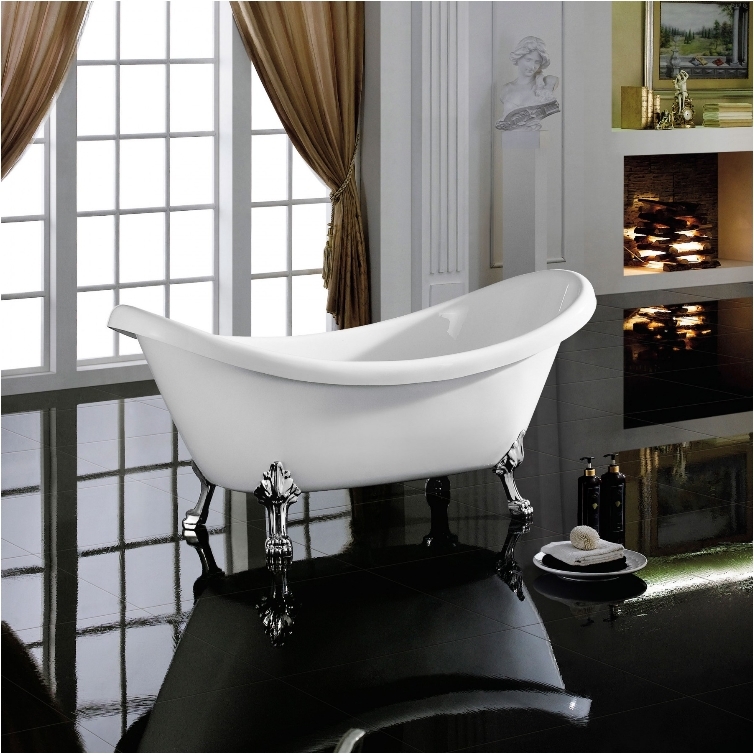 Smooth and sleek, this tub will fit in almost any bathroom. And yes, as you can see, it’s perfect for Valentine’s Day—it can fit two people! I said earlier that tubs are versatile in that you can paint them. We had a red, popping color previously. Now we have a blue color for a calming ambience. The sky is the limit. Anything you can think of, you can make with a clawfoot tub. Combining the best from both worlds. You have a tub, but you can take a shower thanks to the shower enclosure. Taking a quick shower has never been more luxurious and comfortable. Turn back time a bit, and one of the biggest negatives against clawfoot tubs is that they are just too big. They take up so much of your space. And so on and so on. But the industry has evolved and adjusted. 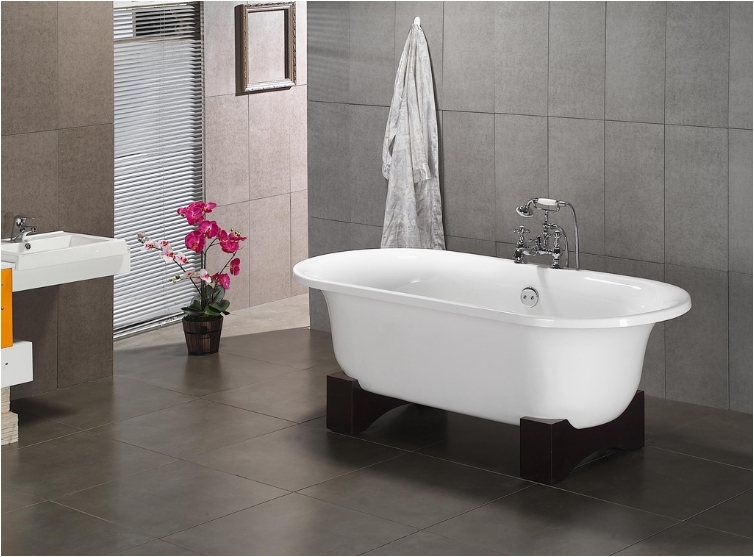 Nowadays, we have small tubs that are perfect for small apartments and for people living alone. No, there’s no actual gold here. 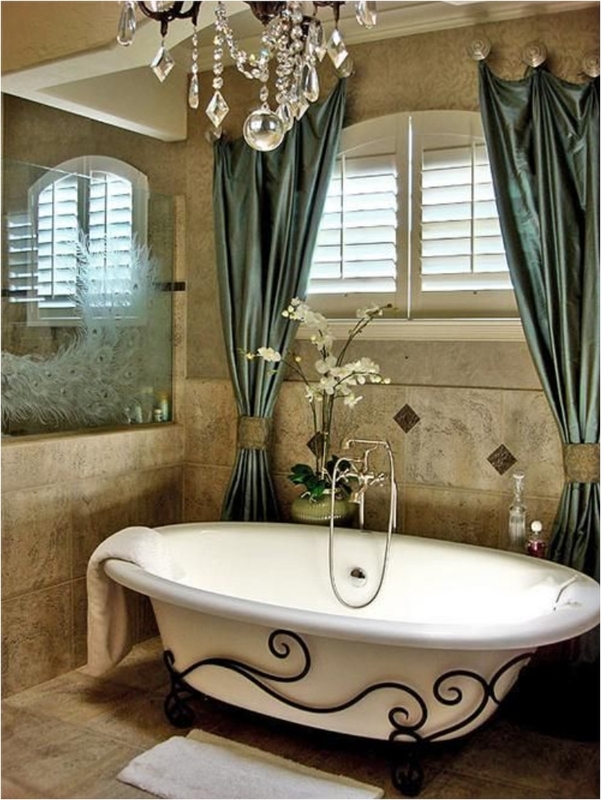 But this gold-looking tub is just too luxurious to pass on—that is, if glamour and luxury are your wish. If not, there are other options here you can check out. This is the design many people have opted for this past year; indeed, it’s one of the biggest trends in home interior bathroom design. 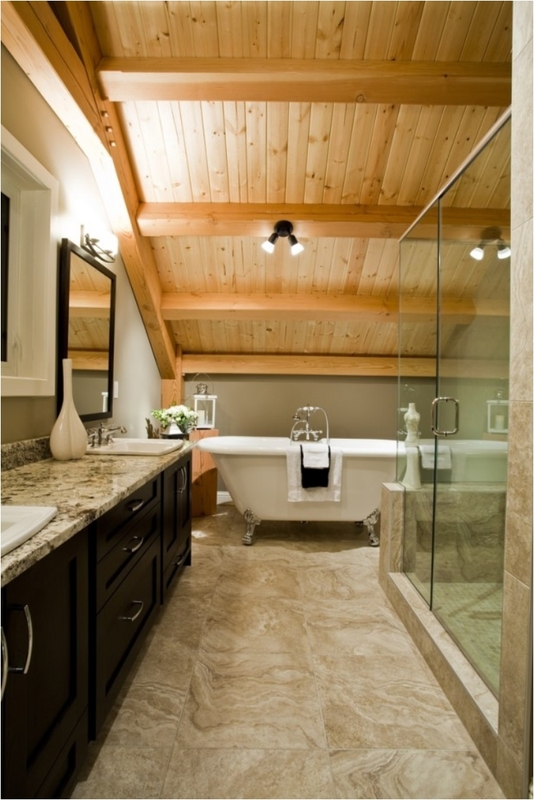 A tub and a walk-in shower is something that is both practical and visually appealing. Try it—you won’t be sorry. 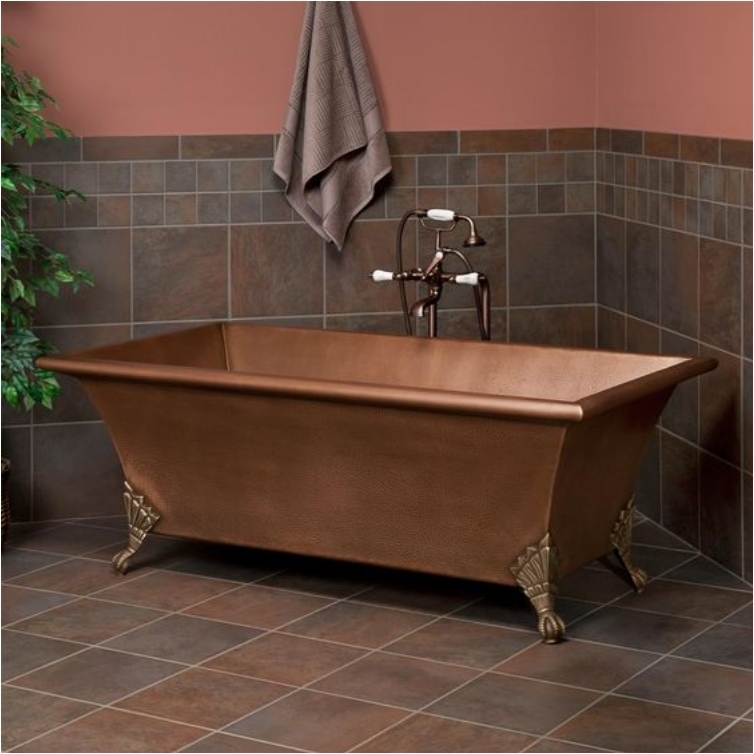 Unlike showers, clawfoot tubs really emphasize workmanship. 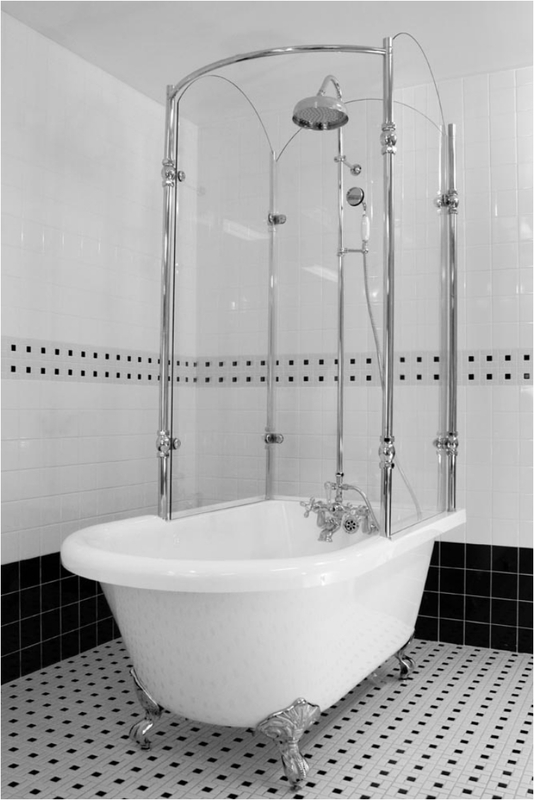 It takes a certain talent to design and create a tub like this one. The quality is wonderful, and I really love the color choice. Brown is a bit of an underrated color, but it can look so glamorous at times—and this is one of those times. Another smaller tub that is designed for smaller apartments. And due to the size, you can even fit it in another room. This one, for example, looks more like a living room than a bathroom. But the quality of the design allows that. 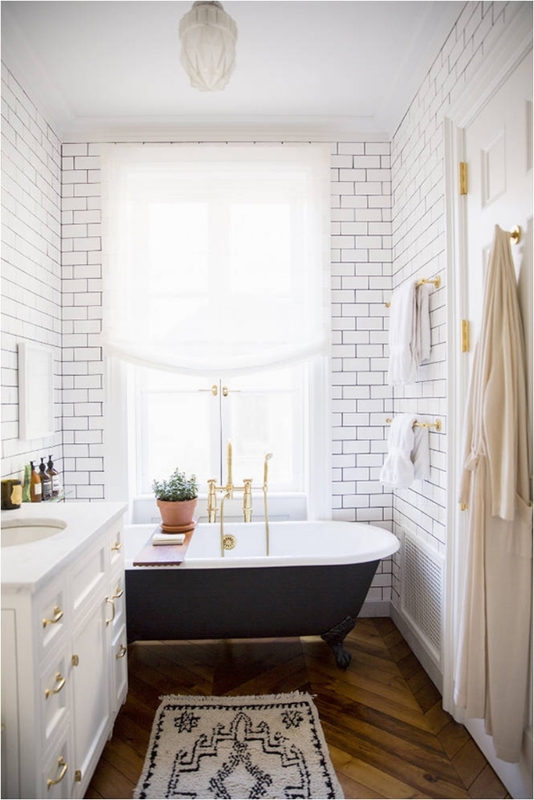 I just love how the bathroom tub brings contrast to the room, which is one of the great things about decorating your bathroom with a clawfoot tub. Whether you want it to look romantic, luxurious, vintage, retro, glamorous, modern—or bring some contrast—you can do it. This is the design you choose for your wooden cottage outside of the city. Of course, not all of us have such a cottage, but hey, who’s to say that you can’t have this particular design in the city as well? You want to have a bit of a retro and baroque style wrapped in one? Well, this tub does that. 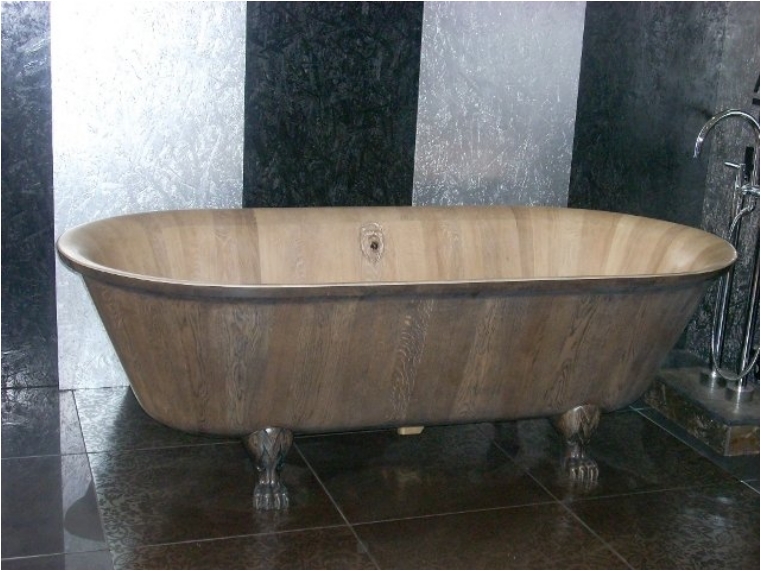 As I mentioned a few times, clawfoot tubs might be old and vintage, but they can handle modern interior design. And they can even excel at doing that. The industry offers so many options for tubs these days, you can find something for everyone. 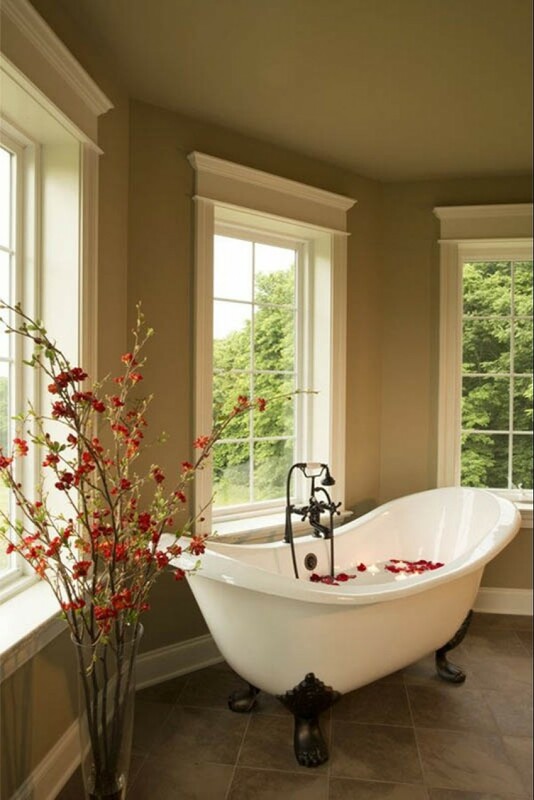 I have yet to meet a person who can’t find a tub that is perfect for his home. It’s just that some prefer a shower. We had modern looking, we had contemporary, we had vintage. It’s about time we go into one of the styles that has been popular in the past few years: industrial style. In the past few years, industrial touches to a modern setting have become the most popular trend. And you need just small touches, like the faucet here, for example. We had another copper tube previously, and I can’t decide which one looks better. This one is a bit different in shape, as you can lie inside and be even more comfortable. Think of a Jacuzzi, but in a bathtub. Another colored tub, and another option. Purple is usually reserved for the bedroom, as it is the color of royalty and wealth. 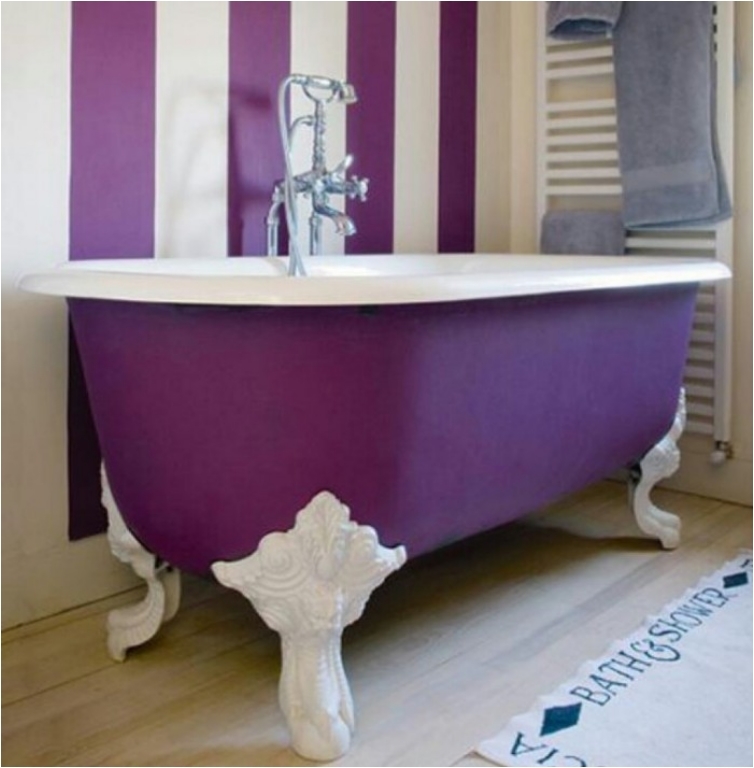 But if you want to show a bit of extravagance in the bathroom, nothing beats purple. It’s time to get some embellishments on the tub, which is one way to make it more decorative and unique. People usually go with embellishments on the tiles in the bathroom. But the clawfoot tub can take some as well. This is a more subtle way of introducing industrial style to the bathroom. The faucet is again the star of the show. But the tub is just perfectly integrated into the whole interior. 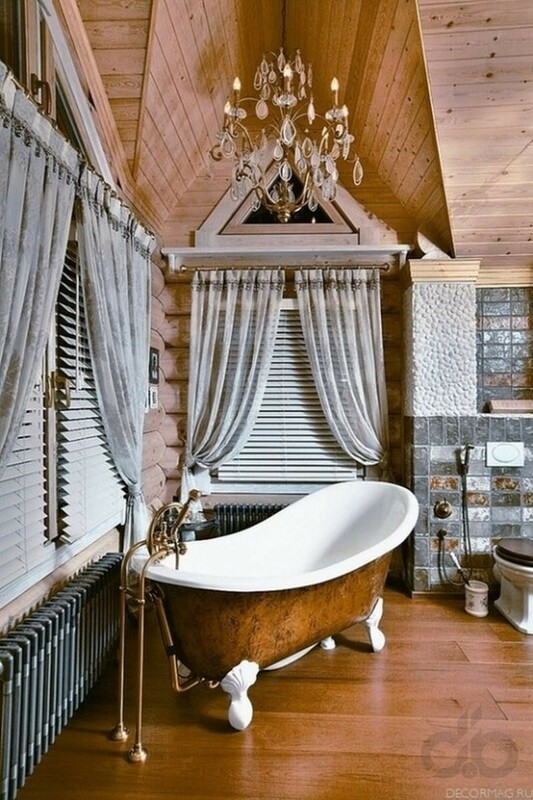 Another great example for when you want to sprinkle some extravagance in your bathroom. Some people just flourish and excel in a world of extravagance, and I have nothing against that! 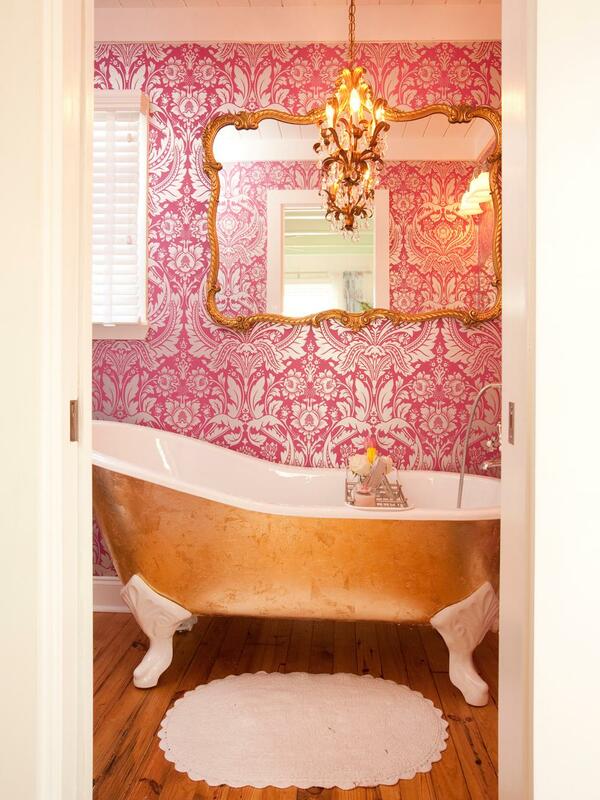 Romantic and adorable, some might say this is a girly tub. But hey, who cares? If your woman asks for a romantic tub, you get her one. And it’s not like it isn’t visually appealing. 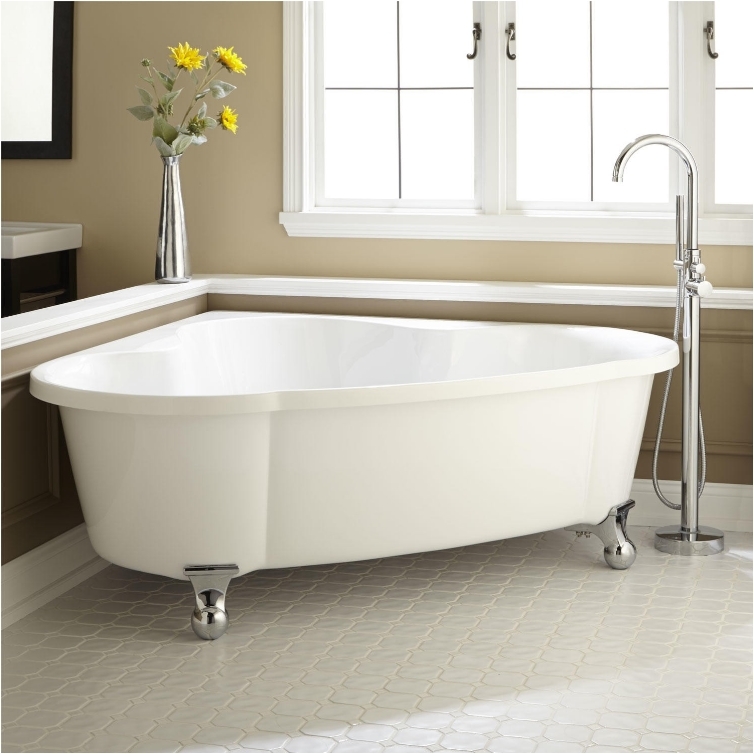 We are back to the classic shapes and workmanship of clawfoot tubs. 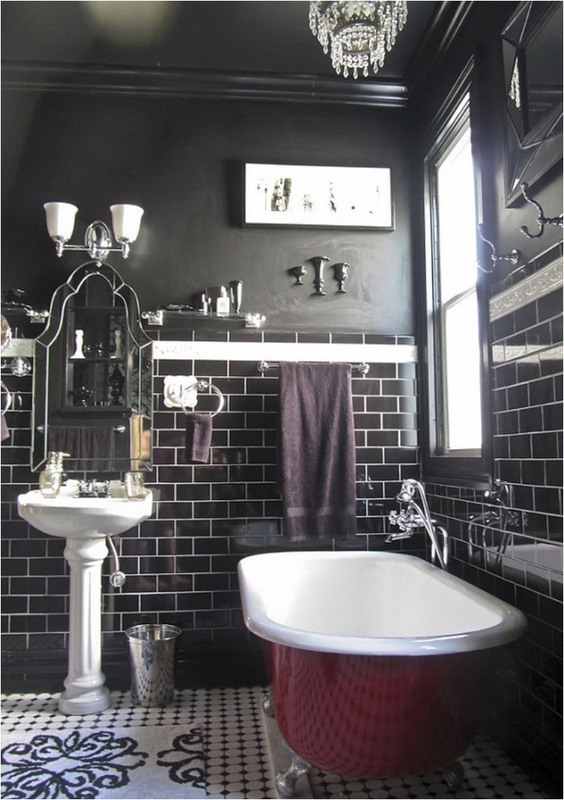 This is your classic modern style tub that you use for a black and white setting. And since the tub is black, it becomes the center of attention. You just can’t stop looking at it. 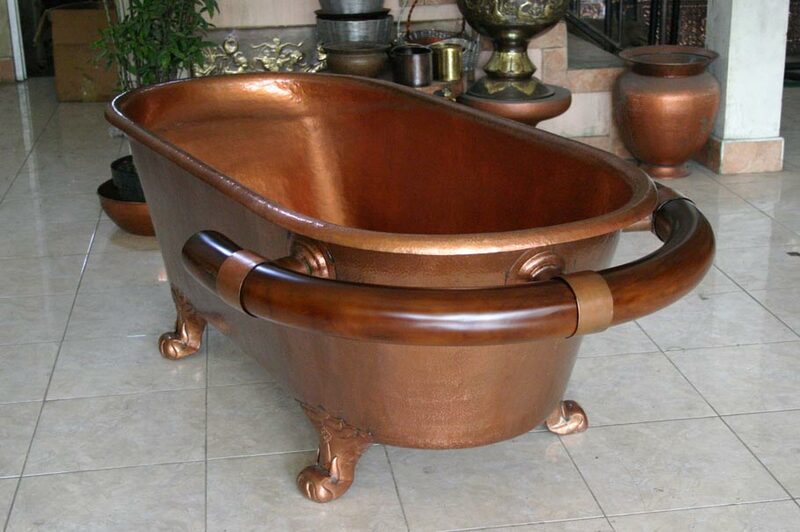 The thing I love about this copper and rustic tub is the handle. It can get slippery when you get out of the tub, and it’s nice to have something to grab onto and hold for balance. You’re welcome! 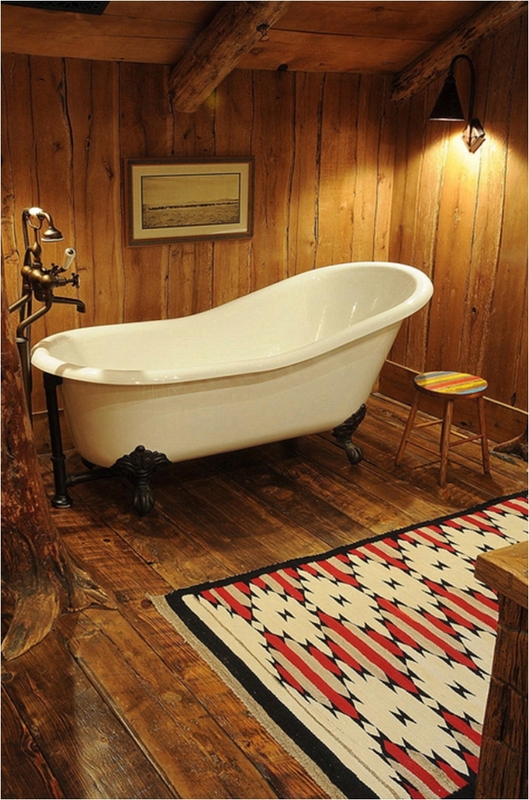 We finish off with a classic rustic bathroom tub. Small, yet elegant and fancy. You can fit it in a modern bathroom, as you can see here. I hope you found some inspiration for your bathroom. 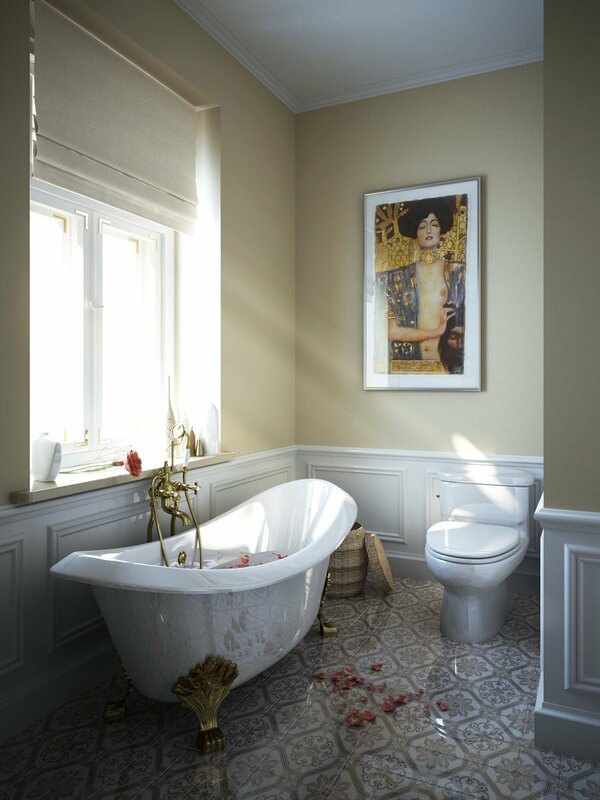 Whether you are redecorating or just starting to decorate, don’t forget the bathroom. 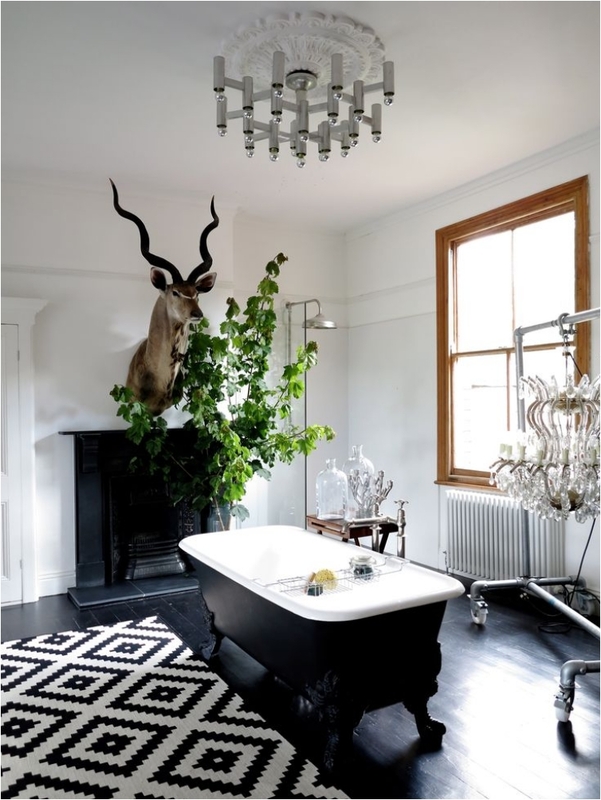 Some people put too little emphasis on the bathroom, but it definitely deserves your attention! So many beautiful clawfoot tubs! I got some great ideas for future decorating adventures! 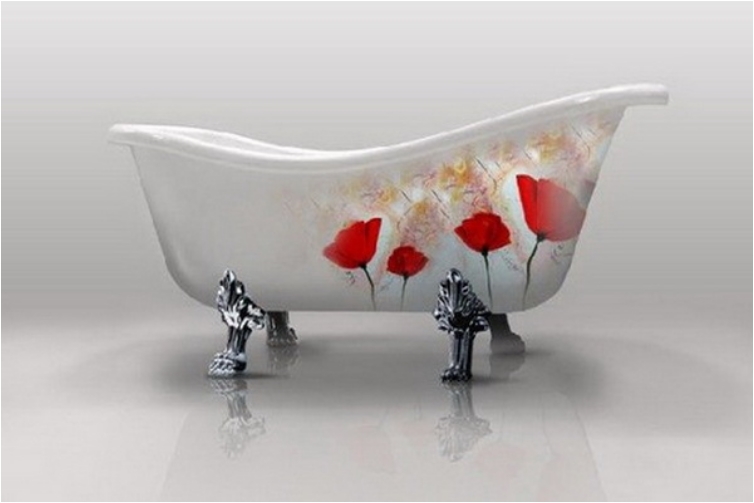 The more traditional decor is my usual choice, however, the tub with the red flowers on it sparks creativity in my mind. Thank you!